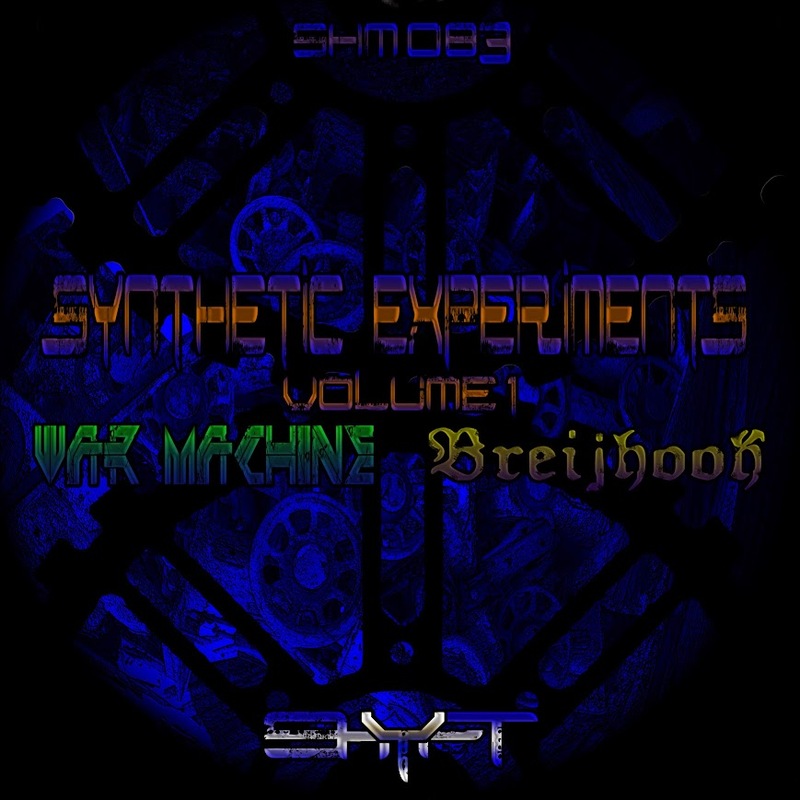 SHM083: Shyft – Synthetic Experiments Vol. 1 – Officially released in 2014, this is a dark core EP by Shyft. It is the first in a series of little experiments in synthesis, arrangement, and style. The focus here is the use of side-chained synths that blend with the kick drums, some times using a staccato sound by manipulating the bass synth envelopes. The 180bpm War Machine emphasizes the rhythmic possibilities that this allows, though still sports a prominent melody, while the 140bpm Breijhook emphasizes quick timbre changes in the beat in addition to avoiding returns to patterns.